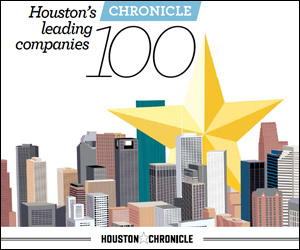 Chronicle 100 list ranks Houston-area businesses by revenue and growth, Blinds.com ranked 89 out of 100. While the Blinds.com team serves customers all across the nation, we love calling Houston our home. Blinds.com (http://www.Blinds.com), the world’s leading online custom window covering store, has been ranked at 89 out of 100 privately held businesses in the greater Houston area by the Houston Chronicle in its ‘Chronicle 100’ list. Blinds.com (http://www.Blinds.com), owned by Global Custom Commerce, is the largest online window covering store in America, covering over a million windows a year since 1996. Today, Blinds.com is ranked No. 215 on the prestigious Internet Retailer 500 list. With a cutting edge online ordering system and ‘The Window Shopper’ augmented reality shopping iPhone app, Blinds.com makes ordering custom blinds, shades, shutters and draperies a no brainer with huge savings and selection. Blinds.com offers installation videos, award winning customer service and a SureFit Guarantee to make buying blinds online surprisingly easy and stress-free. Go online to http://www.Blinds.com to shop or call 1-800-505-1905 to speak to one of 100+ blinds experts.